Things are starting to heat up at the brand new master planned community RiverLights in Wilmington, NC. If you aren’t aware, we have an ongoing e-mail list for those who are interested in this community. If you want to be one of the first to know of new updates, let us know! A few of the builders have already released floor plans in advance of coming presales. Please note that all prices are subject to change and should be verified at time of interest. 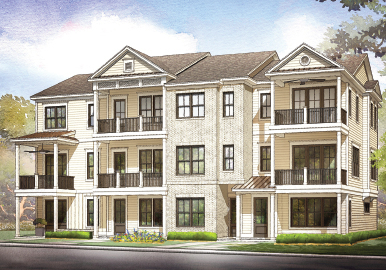 Plantation Building Corp has released 4 plans for the townhomes being built in Marina Village. The first two models will be started this summer and pre-selling of the next building (4 units) will begin shortly thereafter. Homes will range between $325,000 and $425,000, and will depend on features – water views, size, end unit, porches, etc. 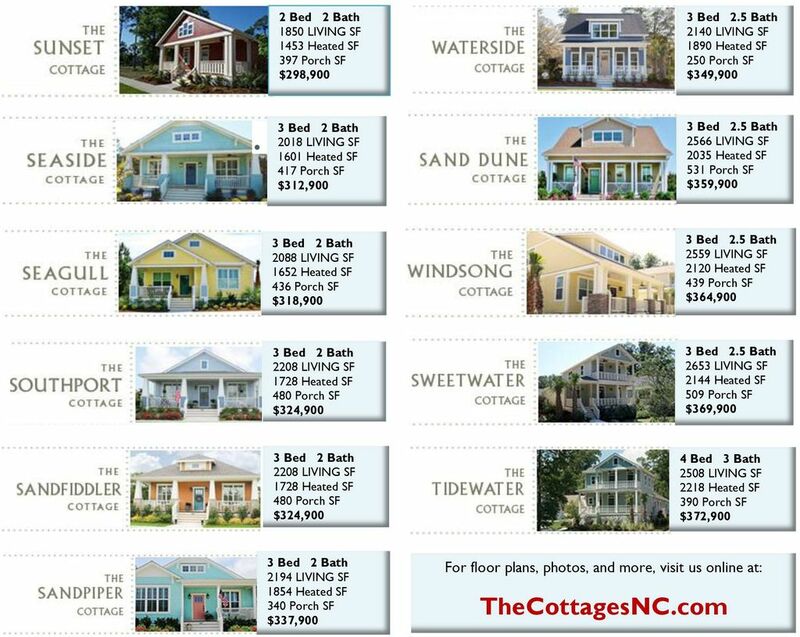 The Cottage Building Company (known for its Cottages at Compass Pointe, Ocean Isle Beach, and Southport) will be bringing 12 of its vintage-inspired Craftsman floor plans to RiverLights. 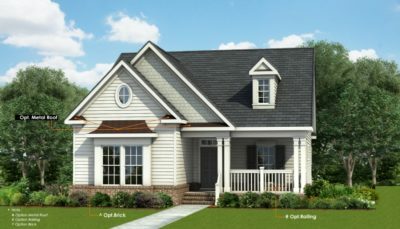 They range from 1,450 to 2,218 square-feet and each cottage built in the community will be unique with its own features, colors, fixtures, and finishes. 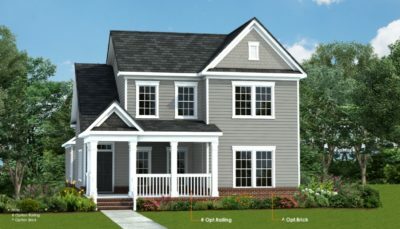 The prices listed below include all costs associated with the architectural plans, architectural review, water and sewer connection, permits, plans, design fees, site work, labor, material, landscaping, and lot. According to their website, these prices are only available to the first 5 buyers. Click here to view their floor plans gallery. 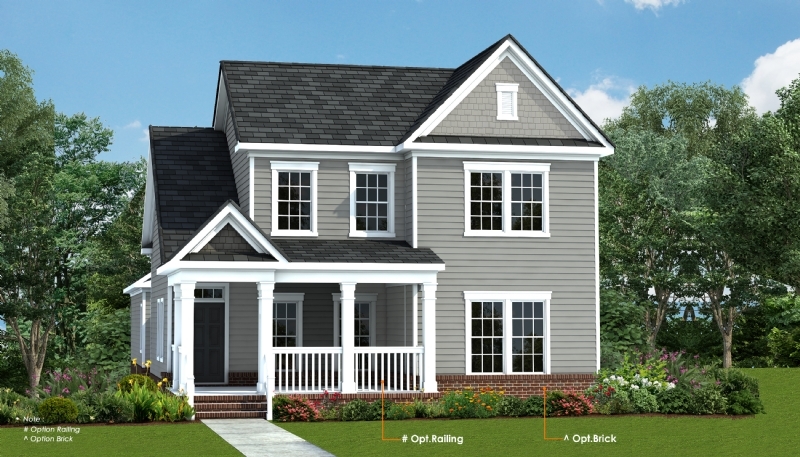 H&H Homes released 5 single-family home plans for the RiverLights community. Below you will find pictures and links to the plans (.PDFs). 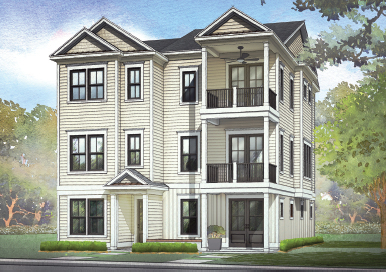 These homes will have alley entry garages, open concepts, smart storage, and personalization options. 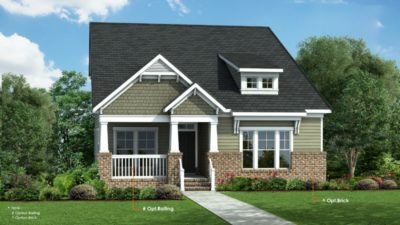 Del Webb announced that they will be the exclusive builder for the age qualifying (55+) section of RiverLights. 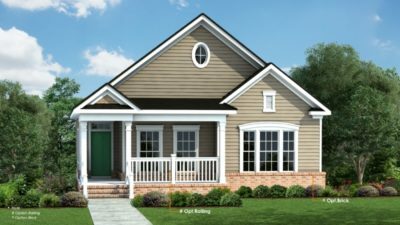 Del Webb has a long history of building retirement communities across the United States, but this will be their first community in the Wilmington area. 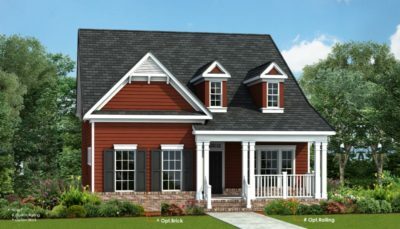 Del Webb will be breaking ground on houses within the next month with the community’s grand opening happening in October. Pre-sales will begin in August with prices starting in the mid-$200,000s. Plans have not been released yet, but will consist of 11 designs ranging from about 1,260 to 2,560 square-feet. The age qualifying section of RiverLights will include a 15,000-square-foot amenity center with indoor and outdoor pools, fitness rooms, and tennis, bocce and pickleball courts. There will also be a full-time lifestyle director that will help residents by planning activities, outings, and new clubs. 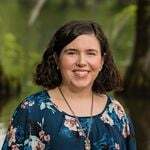 If you have any questions about the RiverLights community, please give us a call at (910) 202-2546 or send us a message through our contact page. We are very familiar with the builders of RiverLights and are happy to assist you with your purchase in the community.